Abstract—E-Learning systems can be made more effective through personalization and adaptivity while recommending the learning content to learners. A comprehensive set of attributes needs to be identified for learner categorization to ensure personalized and adaptive content recommendation. In this paper, a set of core attributes have been identified for effectively profiling the learners and categorizing through neural networks. 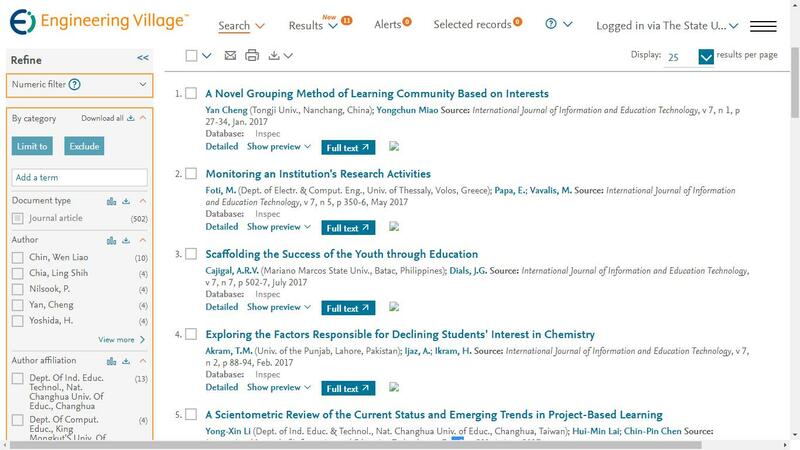 The learning contents have been annotated formally in ontology for recommending the personalized contents to the learners. Performance of proposed framework is measured in terms of accurate learner categorization, precise recommendation of the learning contents and completeness of ontological model. Index Terms—Adaptivity, content recommender e-learning, personalization. S. Sarwar is with the University of Gujrat, Pakistan (e-mail: Sohail.sarwar@seecs.edu.pk). R. García-Castro is with Universidad Politécnica de Madrid (UPM), Spain (e-mail: rgarcia@fi.upm.es). Z. Qayyum and M. Safyan are with University of Gujrat at Department of Computing, Pakistan (e-mail: ziaqayyum@uog.edu.pk, m.safyan@seecs.edu.pk). F. Munir is working with Universidad Politécnica de Catalan (UPC), Spain (e-mail: fmunir@upc.es). Muddesar Iqbal is with London South Bank University England, UK (email: m.iqbal@lsbu.ac.uk). Cite: S. Sarwar, R. García-Castro, Z. Qayyum, M. Safyan, F. Munir, and Muddesar Iqbal, "Ontology Based e-Learning Systems: A Step towards Adaptive Content Recommendation," International Journal of Information and Education Technology vol. 8, no. 10, pp. 700-705, 2018.